Mahogany had BOTOX scheduled for her ankles yesterday. We do this because there’s a bit too much tension in her feet and they don’t stay in neutral position on their own. So the BOTOX an area on the leg and cast her feet for a few days or weeks. She’s had this a half dozen times already, and even though no actually cutting is involved, it still counts as outpatient surgery due to the anesthesia administered. Only thing is, there’s this rare, low percentage of a chance that she, or anyone, will have an adverse reaction to anesthesia. Either your chest will become rigid, and therefore you don’t breath well, or your throat can tighten up, again, not allowing you to breath well. Well, one of those happened to Mahogany yesterday. Happened on the initial dose. 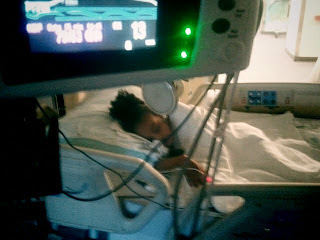 Her breathing got bad, and her heart rate started to drop, so they started doing chest compressions for under a minute. Ended up having to take her across the street to Brenners’ PIC Unit. Scary thing seeing your kid loaded into an ambulance on a stretcher with a breathing tube down her throat. Especially as sudden as it all happened. But, once we got across the street, we saw that she had awoke in the ambulance and was expressing her displeasure at her breathing tube. The EMTs had a time trying to roll her through Brenners’ labyrinthine corridors and keep her hands away from her assorted attachments. 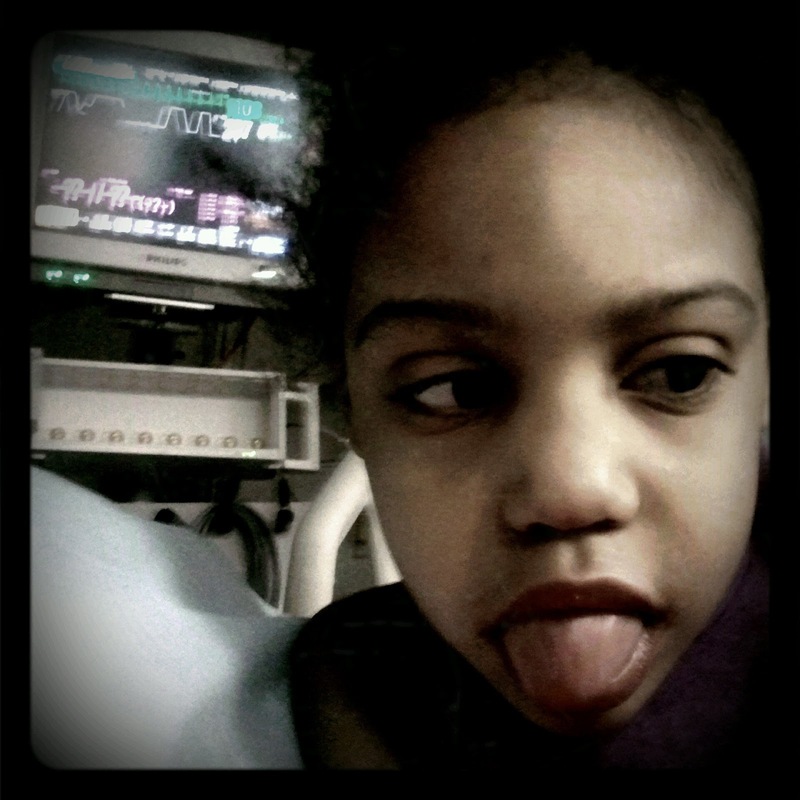 Once we got to her room in PICU, they had a ten-man team waiting for her. They were going to need it. We waited in the Waiting Room while Mahogany tossed the staff around room and she finally settled in. Once they got the tube out, she went to sleep and seemed stable. She was already stable pretty much before they even called the ambulance, but they needed to be sure, and they wanted to see her temperature go up. She seemed a little cold, which isn’t the norm for her. After a few hours she woke up, eat some applesauce and jello, drank and was ready to go home before 6 PM. The reaction to the anesthesia is something that happens rarely, but is unexplained. It’s a side effect, and doesn’t have anything to do with allergies or age or environment. You could have taken the same thing a dozen time before or since, and only that one time will be the result. Ironically, they had another boy in PICU that week who’d had the same reaction, and also went home that day. Those two times were the only time Mahogany’s doctor had ever even seen a case of it happen. Even so, from now on, any future BOTOX injections will be done at Brenners, rather than at her Orthopedist, just to be on the safe side.